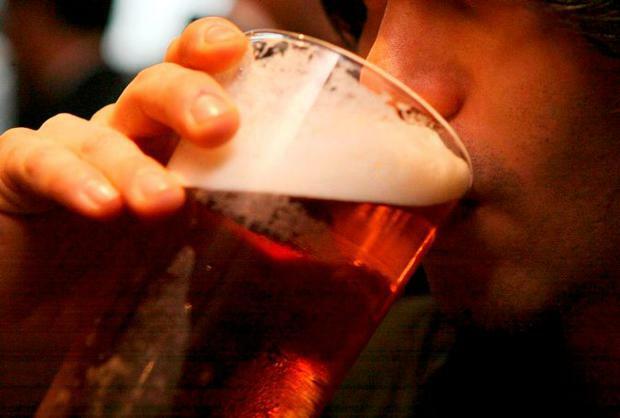 Many of Ireland's older generation are problem drinkers, a new study has revealed. Alcohol abuse affects 15pc of over-50s while 9pc of women are drinking over the limit. Nearly one in two is walking less than the recommended 150 minutes a week with over-75s particularly inactive. The findings are revealed today in the latest instalment from TILDA (the Irish Longitudinal Study on Ageing) at Trinity College Dublin which tracked the lives of middle-aged and older people between 2009 and 2016. Lead academic Prof Rose-Anne Kenny said: "This report provides evidence for high rates of volunteering amongst the over-50s and the benefits that volunteering, social engagement,supportive friendships and membership of organisations have on physical and mental health and well being. "These social interactions suppress unwanted inflammation which is part of the ageing process. "Whereas smoking has declined for those aged 50-64, physical activity has not improved and problematic drinking rates remain constant." More than half of older adults reported problematic housing conditions. The most prevalent issue was damp, mould or moisture. There was an increase in the prevalence of high blood pressures, diabetes, heart attack and stroke since the previous survey of the same group.